A new survey hopes to get a more complete picture of how Pittsburghers commute. The City of Pittsburgh and several organizations are teaming up to get a clearer picture of the region’s commuting habits. The “Make My Trip Count” survey aims to get a comprehensive look at how people get to work or school or any destination – be it by bike, bus, rail, foot or car. 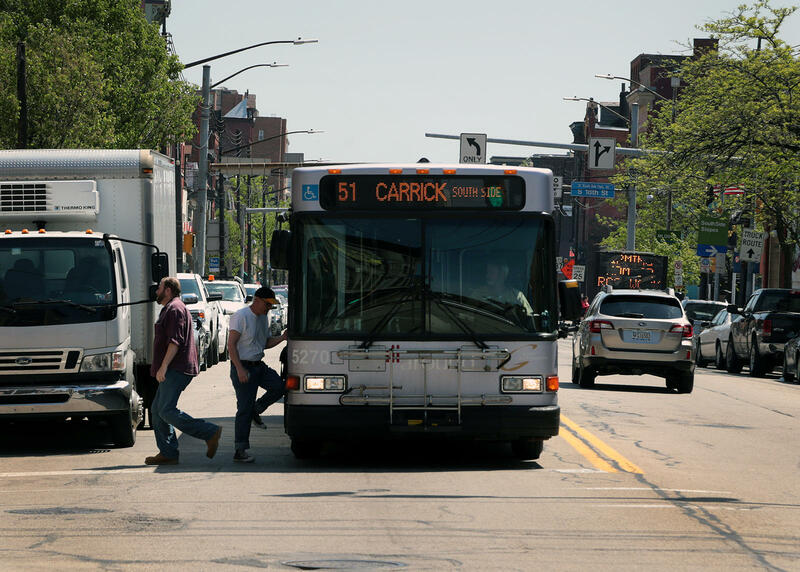 “We’ll be able to slice and dice it and see what the actual commuter pattern, what the actual transportation use in the Pittsburgh area is for the first time,” said Anna Siefkin, director of the Pittsburgh 2030 District, one of the groups involved. The series of questions begins with the users’ zip code of origin – where they are coming from and their destination. The two-part survey takes three to ten minutes and will be available until Oct. 16, she said. “We estimate there’s a large group of people for whom we don’t have information, we don’t know what modes they’re using or how far they’re coming,” said Seifkin. “This information will help us as we gather information and do future planning for the city. Other partners on the survey include the Green Building Alliance, Envision Downtown, GASP and others.